In the article I’m going to tell you about Saltwater Aquarium Rabbitfishes. While almost all Rabbitfish species make excellent marine aquarium fishes, the Foxface Rabbitfish and the Virgate Rabbitfish are the best beginner species. The Foxface Rabbitfish (Siganus vulpinus) and the Virgate Rabbitfish (Siganus virgatus) are two of the best rabbitfishes for the beginning marine aquarist. They are both tropical saltwater species that make excellent marine aquarium inhabitants. 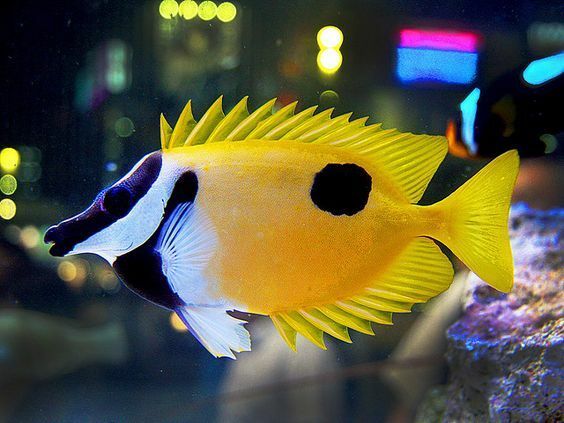 While almost all Rabbitfish species make excellent saltwater marine aquarium fishes, these two are amongst the hardiest tropical marine aquarium fishes in the entire hobby. The Foxface Rabbitfish and the Virgate Rabbitfish are indigenous to the Indo-Pacific. While the Foxface Rabbitfish is the most common of the rabbitfishes, the Virgate Rabbitfish is the more personable of the two. Virgate Rabbitfish frequent mangrove-fringed shorelines and even enter freshwater. The Foxface Rabbitfish may be somewhat more territorial, although they do appear in pairs with more frequency than the Virgate Rabbitfish. The Foxface Rabbitfish is known to be associated with Acropora coral, where the fish feeds on algae growing at the base of the coral’s branches. In the aquarium, they may damage coral. Both the Foxface Rabbitfish and the Virgate Rabbitfish require a tropical marine aquarium of at least 60 gallons. The Foxface Rabbitfish commonly grows to about 10 inches and the Vigrate Rabbitfish to roughly a foot. Both possess peaceful dispositions, although they will likely act aggressively toward their own. As a result, it is best to keep only one per tank unless that tank is very large (e.g. hundreds of gallons). Make sure to provide plenty of swimming space and several hiding spots. 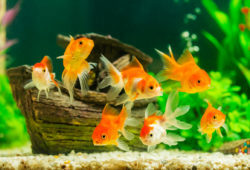 While they will graze on algae present in the aquarium, it is necessary to supplement these fishes’ diet with a prepared herbivorous food (such as Two Little Fishes Sea Veggies Flakes or Omega One’s Veggie Rounds). Like most herbivorous fishes, both the Foxface Rabbitfish and the Virgate Rabbitfish are essentially omnivores, as they frequently consume micro-crustaceans living in and on the algae they eat. As such, feed them meaty marine foods in captivity such as krill, raw table shrimp, squid, clams, and mussels. 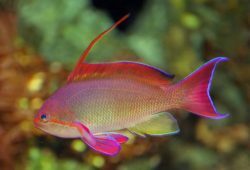 All rabbitfishes possess venomous spines, and the aquarist must act with caution when handling them. It is recommended to not net these animals, as their spines can easily be tangled in the net. Instead, herd them into a collection container using a net, and then lift them from the tank in the container. Both of these species are frequently available at your local fish store. They are also available online and are known to be good shippers. 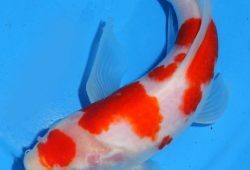 If you choose to buy online, three of the best online retailers of marine livestock are (alphabetically) Blue Zoo Aquatics, Live Aquaria and Marine Depot. Blue Zoo Aquatics carries about eleven species of rabbitfishes including both the Foxface Rabbitfish and the Virgate Rabbitfish. LiveAquaria carries about five species of rabbitfishes including both the Foxface Rabbitfish and the Virgate Rabbitfish. Marine Depot carries about seven species of rabbitfishes, although they do not carry the Virgate Rabbitfish. If you have purchased a rabbitfish from any of these retailers (or any other), please leave a comment indicating the quality of your experience.